As a child, Chris Hooper dreamed of monsters. But in deep space, he found only darkness and isolation. Then, on planet LV178, he and his fellow miners discovered a storm-scoured, sand-blasted hell - and trimonite, the hardest material known to man. When a shuttle crashes into the mining ship Marion, the miners learn that there was more than trimonite deep in the caverns. There was evil, hibernating and waiting for suitable prey. Hoop and his associates uncover a nest of Xenomorphs, and hell takes on a new meaning. Quickly they discover that their only hope lies with the unlikeliest of saviors.... Ellen Ripley, the last human survivor of the salvage ship Nostromo. What a pleasure to listen to and yes as already stated in the other reviews it is like a movie. I find that with all the voices it makes for a great story. 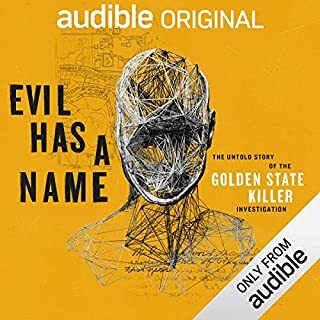 I would recommend it to anyone who is interested in a good Audible original to listen to. 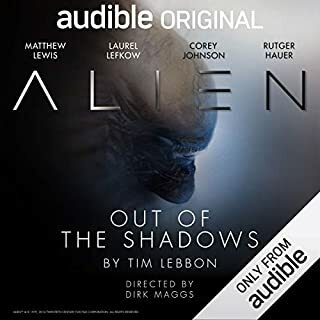 Addictive is the best way I can describe this 6 hour plus Audible story. I just could not stop listening to it. I shall recommend it to all my friends and anyone who asks me about it. Please take the time to listen to the sample and you shall be hooked especially if you are into EVIL CRIME which this is surely that.